Mother’s Day 2019 is Sunday, May 12th. 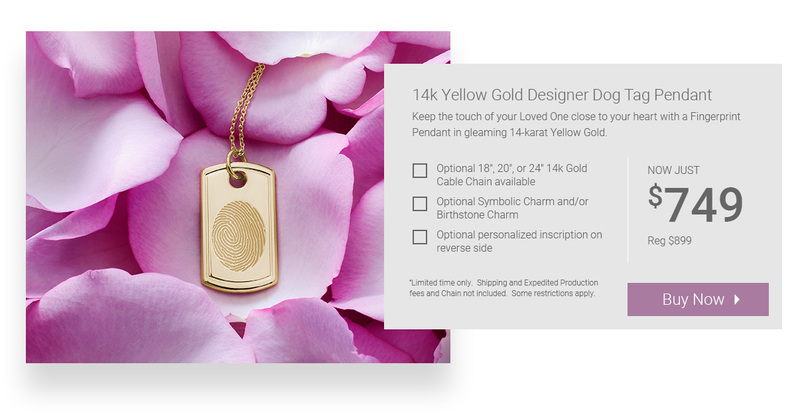 Give your mom or grandmother a meaningful gift she will always treasure with a Fingerprint Keepsake from Legacy Touch. 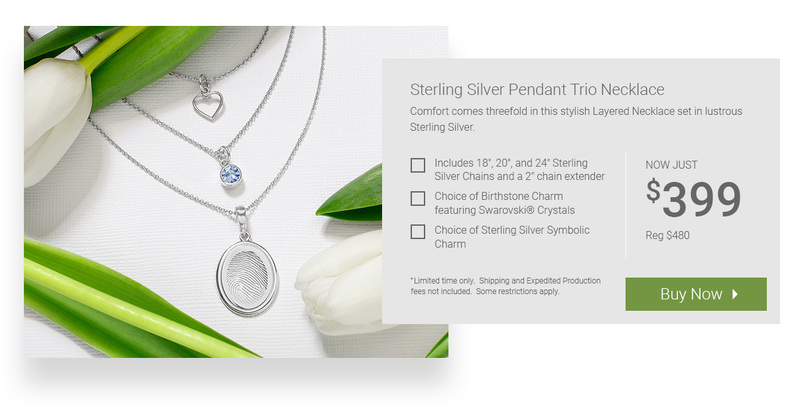 Choose a Fingerprint Charm Bracelet or Trio Layered Necklace that tells the unique story of a Loved One with Symbolic and Birthstone Charms, a Fingerprint Pendant that can be worn close to her heart, or any other personalized Fingerprint Jewelry beautifully handcrafted and engraved. 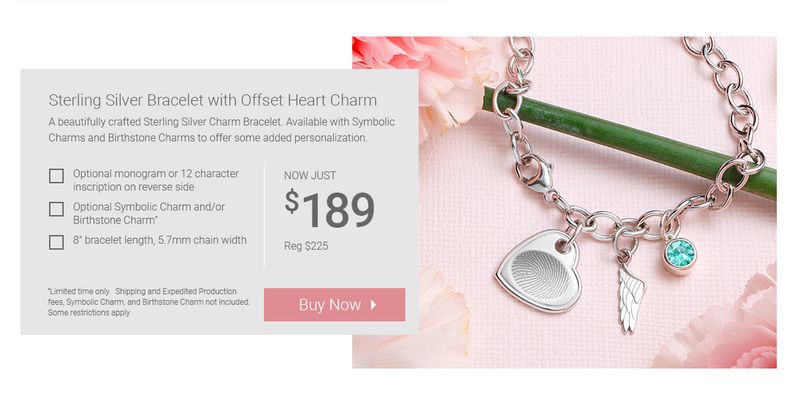 Legacy Touch has plenty of great Mother’s Day gift ideas for her that will bring comfort and peace this Mother’s Day. Copyright © 2017 Legacy Touch.